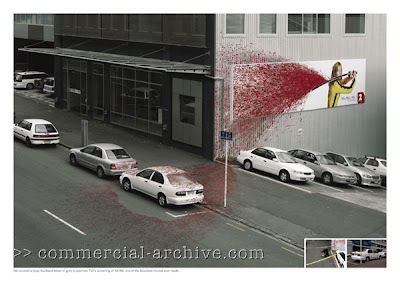 Kill Bill billboard sprays blood onto the street...and a few cars. Lovely use of outdoor / ambient. Nice. Nice.